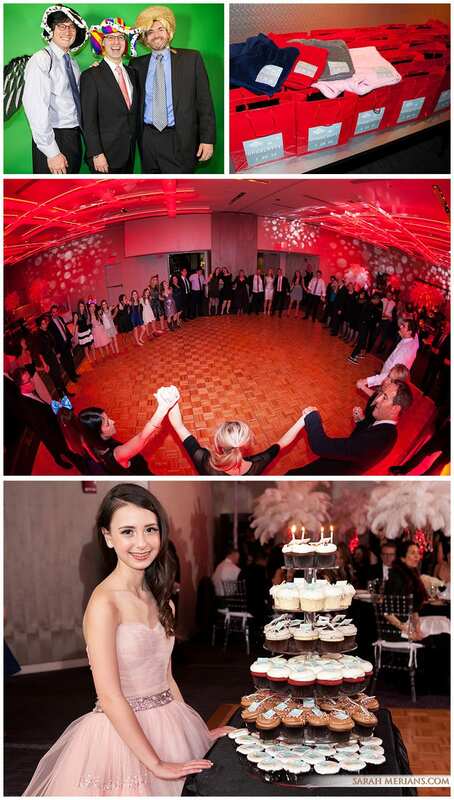 Sky high bouquets of white feathers, conceptualized and created by Fran Jackowitz of FJ Events and Matthew of Atlas Floral Decorators, set the tone for Charlotte’s Hollywood-themed Bat Mitzvah soiree at the W Hotel on Lexington Avenue here in Manhattan. Charlotte looked so glamorous in pale pink with ruby red lips! Posters of famous Hollywood actresses like Marilyn Monroe and Audrey Hepburn paired with a beautiful black & white of Charlotte really set the mood for the night. Mazel Tov, Charlotte!